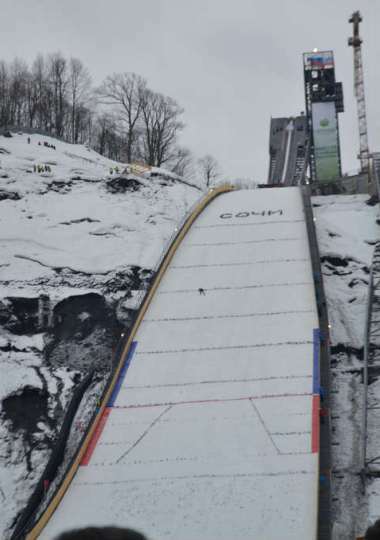 As part of "Cup of Russia" the first ski jumps on the K125 Olympic hill for the Sochi 2014 Games at "RusSki Gorki" ski jumping center were performed on this weekend. 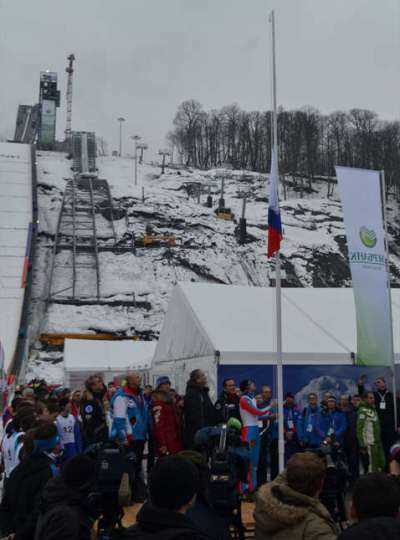 Yesterday on Saturday the K125 ski jump at Esto-Sadok in Krasnaya Polyana valley was inaugurated with the official training for a "Cup of Russia". 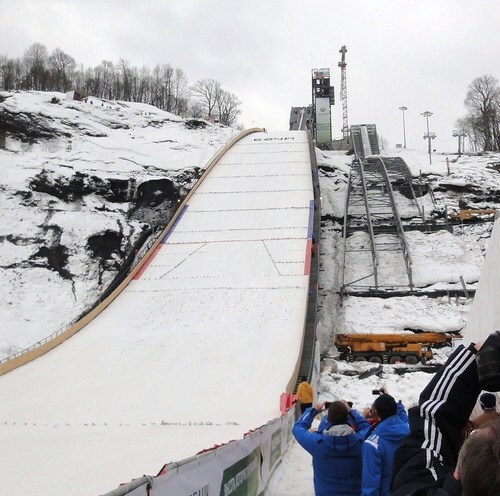 The first jump on the Olympic hill for Sochi 2014 Winter Games was performed by Dmitry Sporynin from Nizhny-Novgorod. 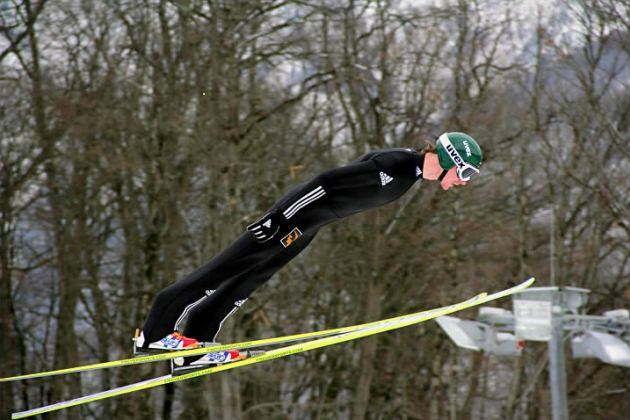 The training best of 132.5 meters on the HS 140 was then reached by Dmitry Ipatov from Magadan, who also jumped the first record during the opening of the new ski jump at Chaykovskiy. The very first competition "Cup of Russia" was then held today in the morning. Winner and holder of the new official record of 139 meters was Ilmir Hazetdinov from Magadan, followed by Ipatov. FIS delegate Torgeir Nordby said on skijumpingrus.ru: "With these new hills Russia may even beat Austrians in a few years." While the K95 normal hill is still a structural work only and shall be completed by June, the ALOSLIDE inrun track of K125 was already mounted in December and afterwards works continued under high pressure and the hill was preapred for the inauguration. The final opening date was even only defined on February 7. 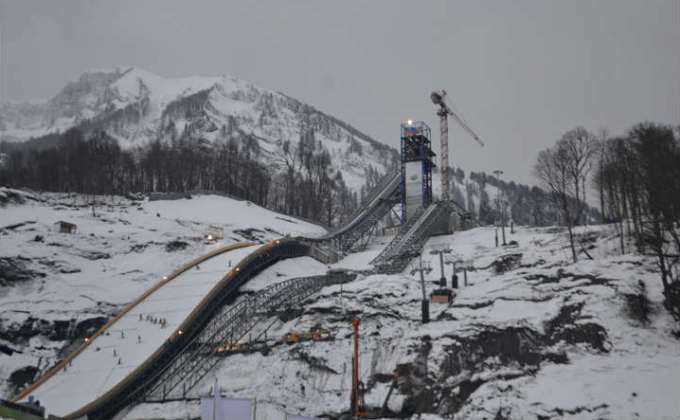 Many sceptics didn't consider this as possible since there was a number of problems with the construction of "RusSki Gorki" ski jumping facility over the last months. 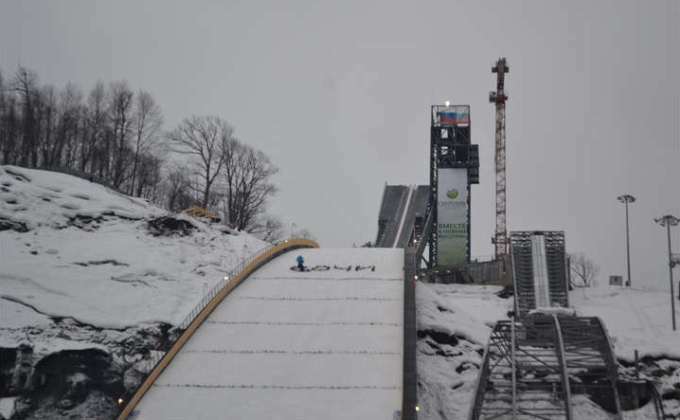 Nevertheless there is still a lot of work left in order to complete the ski jumping hill and its infrastructure that costs around 4 billion Rubels (100m Euro) which are financed by private investors. A Continental Cup event is to be staged in June and for the first World Cup event in Russia in December 2012 the whole facility shall be complete.